Naftogaz of Ukraine may resume gas purchases from Gazprom in May. The companies are hammering out additions to the contract. At the same time, according to Kommersant, Gazprom will not require the Ukrainians to repay a $2 bln debt before the start of deliveries, but gas purchases will be sold on prepayment. Naftogaz will be able to save on direct purchases in Russia and has already stopped importing from Slovakia. However, this can hardly affect Gazprom exports - de facto. Kiev will buy directly from Russia those volumes of gas that Gazprom's European customers had earlier resold to Naftogaz under reverse contracts. A Gazprom source told Kommersant, the energy giant does not link the beginning of deliveries to Ukraine with the payment of Naftogaz's debt to the tune of $2.02 bln, which the Ukrainian company must pay off in accordance with the arbitration decision. This interest accumulates 0.03% per day, and by early March, it will come to $41.8 mln. Until now, the Ukrainian side has said that before paying, it is going to wait for the Stockholm ruling on the second lawsuit regarding the transit contract. As part of this claim, Naftogaz asks for up to $16 bln from Gazprom. A decision is expected before the end of February. According to the newspaper, Gazprom is ready to resume deliveries only on prepayment, and apparently, this arrangement will remain in place for Naftogaz until the contract expires on December 31, 2019. Nevertheless, even taking into account the prepayment, the transition to Russian gas under the current conditions benefits Naftogaz. At the same time, the situation will not affect Gazprom’s general export balance, Kommersant wrote. Earlier Naftogaz bought Russian gas through reverse contracts from European traders, Alexey Grivach from Russia's National Energy Security Fund told the newspaper. "If demand does not expand in Europe, Gazprom's supplies to Slovakia, Hungary and Germany may decrease by the amount that Gazprom will supply directly to Ukraine," he said. However, technical problems at the giant Groningen gas field in the Netherlands and the likely decline of production there may lead to a surge in demand for imported gas in Northwestern Europe, Grivach added. Sanctions never achieve their goals, only deepening the crisis of confidence not permitting a way out, Minister of Foreign Affairs of Belarus Vladimir Makei said in an interview with Izvestia. The top diplomat also talked about the country’s forthcoming accession to the WTO, participation in the Syrian peace process, the implementation of the Minsk accords and countering NATO’s expansion in the region. "Our position remains consistent and unchanged. There is no place for sanctions in international relations. 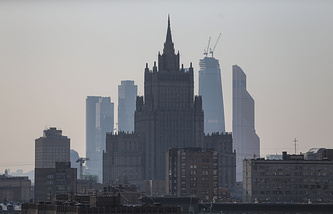 We do not accept any unilateral restrictive measures, regardless of who is their subject and object," the diplomat said, talking about a possible gradual lifting of anti-Russian sanctions. "The only reasonable way to resolve disputes is to forgo emotions and mutual accusations and sit down at the negotiating table," he added. Talking about the progress in negotiations between Minsk and the WTO on Belarus joining the organization, the top diplomat said that in 2017, Belarus significantly intensified the talks on joining the organization. "At the moment, we are wrapping up the second draft of the working group report and we plan to hold another round of negotiations in Geneva this spring. As for the timeframe, WTO accession is not an end in itself for Belarus. We view this not as a political step, but as an incentive to modernize the national economy," Makei told Izvestia. "Belarus takes an active position in all international forums, consistently stands for the restoration of the sovereignty and territorial integrity of Syria," he added, saying, "We are not just observers." On NATO, Makei said: "We are aware of the military activities of NATO member states, including those on the borders of Belarus, and objectively assess it. Undoubtedly, this activity does not contribute to strengthening security and reducing tensions in the region." At the same time, the minister said that Minsk does not see any alternative to a peaceful resolution to the crisis in eastern Ukraine. "Belarus has consistently adhered to this position since the very beginning of the conflict," he said. "Belarus maintains an unbiased and honest attitude towards all parties to the conflict. However, this is a clash in our region, in our family. Therefore, bringing peacekeepers into Donbass may be an additional way to help the conflicting parties. This is what our president said back in 2014, and we do not deny our words," Makei told the newspaper. Georgia, following in the footsteps of Ukraine and Moldova, might toughen up its policy concerning Russian media on its territory, Nezavisimaya Gazeta wrote citing a speech by Georgian President Giorgi Margvelashvili at a national security forum in the city of Gori. Margvelashvili touched on the situation in the "occupied zone" by no accident - Gori is kilometers away from the barbed wire that separates South Ossetia from Georgia, the newspaper pointed out. According to the president, Russian propaganda has not achieved real results in Georgia. From the first day of "the country’s independence", there was not any power "that did not serve the main interests of the country and did not advocate for European and Euro-Atlantic integration". He noted that because of this, Russian propaganda is active in Georgia, but its society has successfully beaten it, thanks to the work of the Georgian media. According to the newspaper, today not many people in Tbilisi believe that Russian TV will fall under the ban once again. It happened before due to political reasons under former President Mikhail Saakashvili during the country’s rocky relations with Russia, which preceded the 2008 war. Similarly, a poll conducted by the American National Democratic Institute shows rather opposite results. Russian ‘propaganda’ might prove to be rather successful, the newspaper noted. 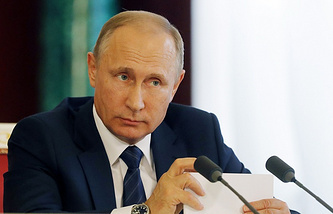 Thus, last June, according to the poll, 22% of those surveyed favored the country's accession to the Eurasian Economic Union, and by the end of the year 29% felt this way, while 41% of respondents believe that Russia is superior to the United States in military power. A member of the Georgian Parliament told Nezavisimaya Gazeta that if the head of state proposes a new ban, it is unlikely to find support in the nation’s supreme legislative body. "Not because Russian political channels are necessary for Georgia, but because it makes no sense. Those who need it will watch it on the Internet, or install satellite dishes," the source said. According to the MP, if Margvelashvili comes out with clear proposal to restrict access to Russian TV companies, it will most likely be dictated by the upcoming presidential elections this coming autumn, and there will be no shortage of anti-Russian rhetoric during the electoral period. The American computer technology corporation Oracle has tightened conditions for providing products and services to Russian customers from the oil and gas industry included on the US sanctions list. Since January 29, Oracle has banned both new transactions, as well as extending, modifying and renewing existing contracts with them, Kommersant wrote. The ban affected Gazprom, Surgutneftegas, Lukoil and Rosneft, their subsidiaries and foreign projects. According to the newspaper, the dependence of the Russian oil and gas industry on foreign software is still significant and a complete ban on Oracle products would greatly harm the industry. According to the company’s letter, the ban includes providing, exporting or re-exporting goods, services and technologies in support of deep-sea and Arctic offshore exploration, production or shale projects with oil production potential, if an entity is included on the US Directive No. 4 on sanctions. The ban applies to projects launched on January 29, 2018 or later. The letter is accompanied by a list of companies subject to sanctions with 283 names, including the enterprises of Gazprom, Rosneft, Lukoil and Surgutneftegas. At the same time, another source told the newspaper, that major customers of Oracle software, such as Rosneft or Gazprom, have a lot of structures and third-party businesses that are not directly related to oil production, which may not face constraints. "With many companies on the sanctions lists, a case-by-case approach works, and often the difficulty can be resolved," the source added. A system for recording the frozen assets of those suspected of financing terrorism will be put together in Russia. Its focus will be on blocked accounts in banks, microfinance organizations, managers and mobile communications providers and will be created by the Central Bank, Russia’s Internet watchdog and the Federal Financial Monitoring Service by March 2018, Izvestia wrote. According to a letter from the Financial Monitoring Service, the surveillance is needed to give law enforcement authorities a ‘heads-up’ about suspicious people, to confiscate assets and thwart terrorist attacks. According to experts interviewed by the newspaper, this mechanism is already in place in the US and will be useful in Russia. Participants of the most recent meeting in the Financial Monitoring Service decided to "introduce a system to account for assets frozen by decisions of the Interdepartmental Commission for Countering Terrorism Financing on suspicion of money laundering and being in the supervised organizations of the private sector". According to the newspaper, currently banks, microfinance organizations, management companies, non-state pension funds and mobile communications providers furnish information only about suspicious transactions of clients to the Financial Monitoring Service. The Service blocks them by a decision from the Interdepartmental Commission, which started operation in 2015. Thanks to the new system, the financial intelligence community will begin to promptly notify law enforcement authorities about the "toxic" assets of those suspected of bankrolling terrorism, the newspaper wrote. The funds will be confiscated in order to help prevent terrorist attacks, a source close to the Service told Izvestia.